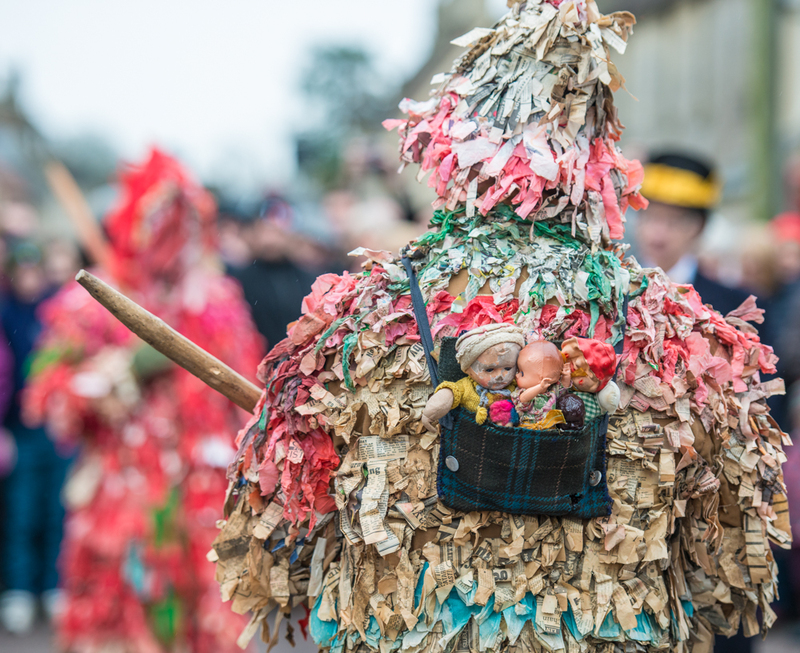 The Marshfield Mummers continue an ancient tradition every year at 11am on Boxing Day. A short, three minute play is performed a number of times along the length of the High Street in Marshfield near Bath. The play has changed little over the centuries, it is only performed on Boxing Day with a single rehearsal earlier in the morning. The image below is of ‘Saucy Jack’ who carries his family on his back. Other characters include King William, Tenpenny Nit, Beelzebub and Dr Fennix.